I paired the top with my silky khaki color shorts. I love these shorts because they're great for those super hot days when you have to work & just wanna stay cool. They have a little shine to them as well....& the best part - there's pockets! To complete the look I added a statement necklace. Because the top was plain I was able to dress it up with a big diamond necklace that matched perfectly with the sparkle in the shoes. I didn't want to add too much more since the main points of my outfit are the shoes & necklace so i topped it off with a gold watch . I would definitely try a top like this ( I love lace haha). I would try it with skinny jeans maybe and pumps! Ah it is like a cupcake! It's so cute! Everyone did such a great job! All very different ways to wear the shirt! I love your outfit from head to toe , nd where can I find your amazing shoes?! Ah love them. 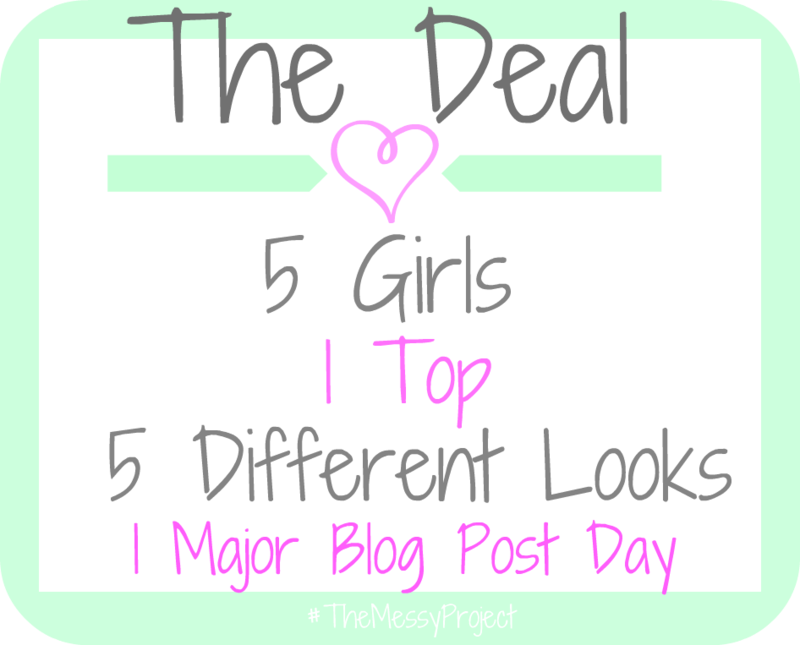 Well yeah love the messy project! I think you did a great job for stepping out of your comfort zone, very cute outfit! i love this Kelly! You look so amazing, and so do the other girls! love love! It's so funny you mention about it being short, because that's the EXACT reason why I chose to tuck it in. I have a weird thing with shirts hitting me right at my waistline. You're so cute! Adorable outfit and I LOVE the necklace! You look adorable per the usual! I too have an issue with tops being too short. But you pulled this one off so well! I'm scared of the peplum...I just can't commit. Your outfit makes me want to try this trend though! I love what you did with the shirt! Very classy and fun. I haven't tried peplum yet because I am worried it will be too short for my longass torso. Going to check out the other girls right now! Love your look. The shorts are so great with it and the shoes are awesome! Very classy!! That's so cute!! Love it! Soo cute!! Off topic I think I have a foot tattoo in the same place!! Twins!! Super cute outfit! Love it! Finally online ... I love the way you paired this and took pics by the tennis court, very prep and country club! That is a great look! Love Love Love!!! I can't wait to play!! You picked such a great and versatile top! And I need those sparkly shoes...you rocked it, lady!! Love that top!! And those shoes are amazing!! Love the top you picked this month! So cute and LOVE how you styled it! Ok. 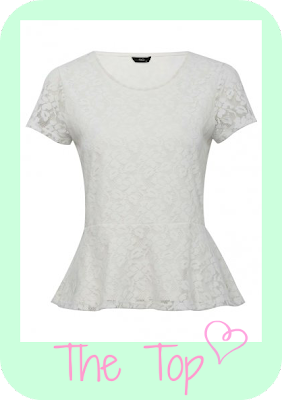 I want want want this top!! You styled it well..those shoes are killer, and so is that necklace! I LOVE how you styled the outfit! I totally looked at that top in the store. It's super cute! Love this top! It looks adorable on you with those shorts! I actually love the combo! You look great! LOVE this project! I'll need to join! 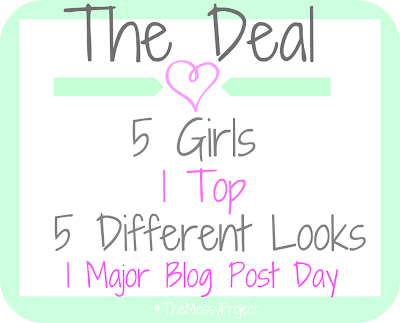 I loved this post so much, I included it in my bi-weekly series: Lots of Link Love! I'd love if you came and checked it out, and please feel free to share with your readers as well!